March 23, 2019, 9:11 p.m.
happy 10th anniversary on this site to me! i do not post here much anymore, but it still means a lot to me, so i do find some things to post every now and again. it has been fanart, recently, heh. it's been a wild decade. i met my girlfriend (shebu) and my best friend slash brother (rudolf the red nosed lioness)on here. if i hadn't joined, i wouldn't be drawing. March 21, 2019, 2:35 a.m.
March 11, 2019, 3:25 a.m.
rly sorry all i have to post is the same chara as a lion over and over again...same as 9 years ago when i first joined..so really nothing has changed? March 11, 2019, 3:21 a.m.
Feb. 22, 2019, 6:24 a.m.
That famous weirdo, the laughingstock of the three realms, His Royal Highness the Crown Prince from the legends, he he he —— he ascended to godhood again! Feb. 22, 2019, 5:18 a.m.
Jan. 12, 2019, 6:33 p.m.
Jan. 6, 2019, 6:22 p.m.
Jan. 6, 2019, 6:14 p.m.
Dec. 15, 2018, 5:01 p.m.
Dec. 2, 2018, 6:46 p.m.
here's my only upload for the next 3 months!!!!!!!! March 25, 2018, 5:59 p.m.
Feb. 7, 2018, 4:19 p.m.
Feb. 6, 2018, 10:04 p.m.
all of my best/worst/weirdest sketches are done in my chinese textbook for...some...reason.... ??? Jan. 28, 2018, 9:59 p.m.
Dec. 19, 2017, 5:36 p.m.
inspiration struck, so here's a ref for thowra for 2018. thanks for sticking with me, guys. Oct. 15, 2017, 10:46 a.m.
Oct. 12, 2017, 9:01 p.m.
Oct. 12, 2017, 3:09 p.m.
Sept. 13, 2017, 9:41 p.m.
forgive me please , forgive me please, poor little disgusting me. May 9, 2017, 12:34 a.m.
April 16, 2017, 1:09 a.m.
Oh hey, it's been a few years, huh. I spent some time redrawing an older piece tonight. Dec. 3, 2016, 3:15 p.m.
Hey guys I severely need cash so I'm selling character designs! Lots of nice old ones, including this one (which is $10). Info in this link! March 20, 2016, 9:20 p.m.
Feb. 4, 2016, 10:26 p.m.
Dec. 22, 2015, 2:40 p.m.
Nov. 13, 2015, 4:07 p.m.
Aug. 27, 2015, 12:20 a.m.
Aug. 12, 2015, 1:29 a.m.
Aug. 8, 2015, 5:38 p.m.
July 2, 2015, 12:38 a.m.
June 3, 2015, 1:42 a.m.
May 11, 2015, 1:14 p.m.
April 3, 2015, 5:38 p.m.
Nobody seems to like you... Do you get used to that? April 3, 2015, 4:40 p.m.
March 16, 2015, 8:57 a.m. I felt like I should make some kinda notice about this. My race, the Ei'fay, are now to be officially considered "off-topic" due to some changes I made a few months ago. They are now no longer considered felines, but instead are equines. I won't bother with specifics, but yeah. I know some people have Ei'fay on here which makes me feel bad but they had to change in some way, and changing their genus was one of them. If you want specifics send me a note on da (ei-fay) or my tumblr (http://seraisnotneurotypical.tumblr.com/ but I don't do anons, sorry). March 14, 2015, 2:18 p.m.
Idk if this will get finished so it's getting posted in its unfinished state. Decided to add a body onto that Sera lion head sketch thingy aaaand i can't concentrate on anything right now so it never got fully painted. March 12, 2015, 1:56 a.m.
Feb. 24, 2015, 6:59 p.m. Her tongue tells tales of rebellion. No one quite knew where she came from. Dec. 30, 2014, 6:33 p.m.
Dec. 25, 2014, 8:48 p.m.
Dec. 2, 2014, 8:04 p.m.
something i've been meaning to make for a bit now. if you've been following my tumblr you probably know about some of this but i thought i should make a post because it's pretty important. this is just the bare bones on all of that stuff there's way more if you google. i've learned a lot about myself in the past couple of years and it's definitely changed me. i learned that i have a learning disorder and stuff. so yeah. this is about that. Nov. 18, 2014, 6:08 p.m. I'm doing the lilymud secret santa for the first time ever and I had to come up with an on-topic version of thowra so here they are i guess? Nov. 17, 2014, 7:05 p.m. I finally decided to sit down and tackle one of the many sheets I have planned for my Ei'fay, this one being colors & markings. You can find the sheet HERE: http://fav.me/d86rvbl as it is too big for the site and the Ei'fay are still slightly off-topic. Nov. 15, 2014, 12:10 a.m.
Nov. 8, 2014, 10:15 p.m.
Nov. 6, 2014, 10:02 p.m.
Nov. 6, 2014, 9:59 p.m.
i can't draw la muerte's hat, and i kinda gave up on xibalba's.........everything really quickly but here's a sketch that i want to finish. one day. Oct. 12, 2014, 6:05 p.m. This is the only screenshot I'll be uploading to keep my off-topic(? 'Fay are still feline ish) uploads down, I just wanted to show them off~~ I have some screenshots on my tumblr of the progress. edit: turns out i forgot some markings on the head, too. GO ME. Sept. 30, 2014, 12:34 a.m.
i'm bored so i'll take a character trade or smth for any fantasy lion. creature. thing. pls use this form below to make it easier on me and i'll choose the one i find the most interesting. just comment as "submitted" and i'll reply to you if i like it and tell you what i want. you don't need the TOS code word, just put "tlkfaa" in place. and you can ignore reference to pricing. Sept. 11, 2014, 7:02 p.m.
Sept. 11, 2014, 1:52 p.m.
Aug. 25, 2014, 7:56 a.m. I've been thinking about this a lot, and I think it's time for me to pull the Ei'fay from tlkfaa. They're barely pushing on-topic now (more horse than lion) and I just have no time + energy to moderate them on here. I've had fun with them on here, but it's time for them to sail away on less restricting waters. Aug. 8, 2014, 1:14 p.m.
July 23, 2014, 4:45 p.m.
July 2, 2014, 8:51 p.m.
1 day early 18th birthday present to myself? June 20, 2014, 12:37 a.m.
you see it's my 18th birthday soon. all i want is drawings of this lion in the most caricatured, horrendous style you can muster. the uglier the better. June 19, 2014, 8:57 a.m.
June 13, 2014, 1:21 a.m.
June 12, 2014, 6:07 p.m.
My half of a trade with Evita (Evi), their character Evita! June 12, 2014, 10:32 a.m.
June 11, 2014, 1:10 a.m.
June 10, 2014, 4:21 p.m.
June 8, 2014, 10:45 p.m.
"thowra are u ever going to draw fanart that isnt furry"
June 6, 2014, 12:35 p.m.
May 31, 2014, 11:47 a.m.
Shift-locked (meaning they can't shift out of feral) Angel Ei'fay for adoption (draw to get). In application, please change the forelock/bangs to whatever style of your choosing. Tail can also be altered. **NOTE: I DELIBERATELY DO NOT GENDER MY ADOPTABLES, meaning you are free to make them whatever gender you wish. Ei'fay are NOT sexually dimorphic. AS A NOTE, THIS IS THE ONLY ANGEL EI'FAY I WILL EVER PRODUCE FOR ADOPTS. This particular angel was born hundreds of years before they were eradicated as a clan. I will be VERY picky as to who this goes to. May 31, 2014, 10:30 a.m.
Shift-locked (meaning they can't shift out of feral) Fire Ei'fay for adoption (draw to get). In application, please change the forelock/bangs to whatever style of your choosing. Tail can also be altered. **NOTE: I DELIBERATELY DO NOT GENDER MY ADOPTABLES, meaning you are free to make them whatever gender you wish. Ei'fay are NOT sexually dimorphic. Fire Ei'fay, as a note, can breathe fire. This particular one's not that great at it and has burn scars around their mouth. May 31, 2014, 10:08 a.m.
Shift-locked (meaning they can't shift out of feral) Mountain Ei'fay for adoption (draw to get). In application, please change the forelock/bangs to whatever style of your choosing. Tail can also be altered. **NOTE: I DELIBERATELY DO NOT GENDER MY ADOPTABLES, meaning you are free to make them whatever gender you wish. Ei'fay are NOT sexually dimorphic. May 31, 2014, 1:41 a.m.
Shift-locked (meaning they can't shift out of feral) Demon Ei'fay for adoption (draw to get). In application, please change the forelock/bangs to whatever style of your choosing. Tail can also be altered. <b>**NOTE: I DELIBERATELY DO NOT GENDER MY ADOPTABLES, meaning you are free to make them whatever gender you wish. Ei'fay are NOT sexually dimorphic. May 30, 2014, 11:16 p.m.
May 30, 2014, 11:10 p.m.
My first character sheet made using my newly created sheet for my original shapeshifting race, the Ei’fay, who are a horse-lion mix with large ears. 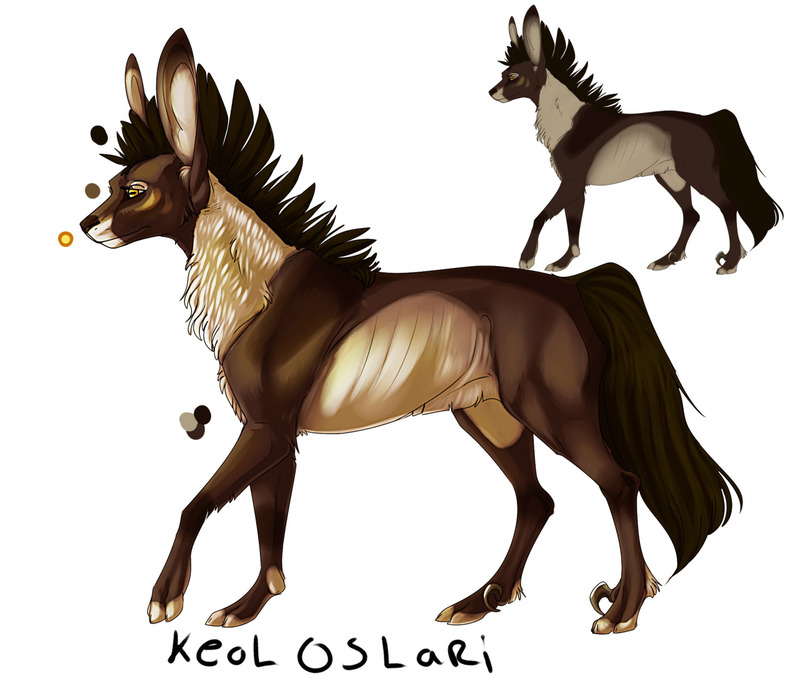 This is the Feral form of Keol Oslari, the main character of the tale Ten Thousand Jade Stars. May 24, 2014, 1:18 p.m.
My entry for the site contest, Simba and Nala as Fire Ei'fay in the Jai-gan desert, home of the Fire Ei'fay. 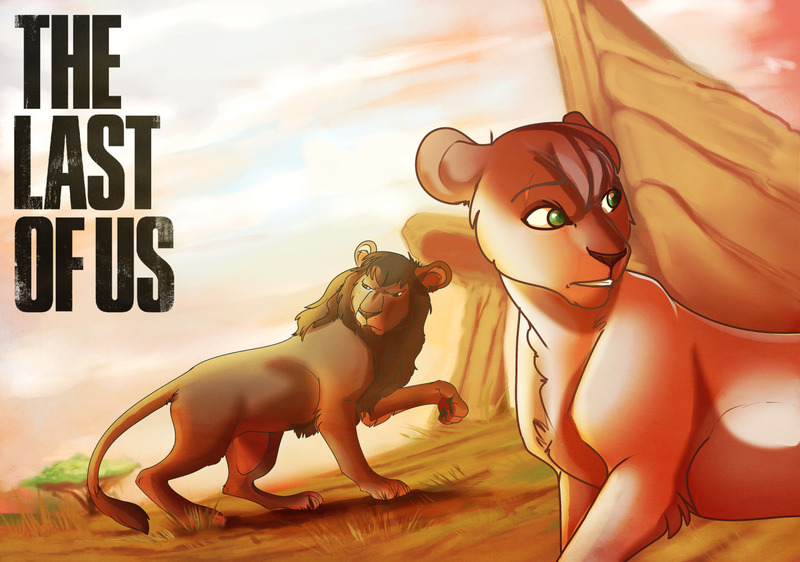 In this case, Simba would not be king of Lotheli but king of the Fire Clan. The timeframe would be some years before Sylvanas, the current Queen, was born. May 19, 2014, 8:47 a.m.
May 18, 2014, 9:15 p.m.
May 17, 2014, 6:11 p.m. PLEASE FILL OUT THIS FORM IF YOU WISH TO DO A TRADE. comments where the form is not filled out will be ignored. BE AS SPECIFIC AS YOU CAN. May 3, 2014, 9:37 p.m.
May 3, 2014, 8:07 p.m.
April 24, 2014, 5:06 p.m.
April 17, 2014, 6:03 p.m.
April 17, 2014, 5:44 p.m.
NEW AND FRESH original species the spaghetti lion! (C) ME DO NOT STEAL!!!!!!!!!!!!!!!!!!!!!!!!!!!!!!!!! April 12, 2014, 4:51 p.m.
March 26, 2014, 7:53 a.m.
i'm not mad/disappointed at anyone, just something i wanted to point out adopt my adopts i make. It doesn't mean all my adoptables aren't on the binary, it just means i do not give them a gender before they're adopted.